If you can’t find a gold-colored egg then you can spray paint an egg with gold paint. Be sure and let it dry completely before you handle it. Before class, hide the egg somewhere. It should not be too easy to find. Okay everyone! Hidden somewhere in this room is a golden egg! Golden eggs are so special. They always have a cool prize inside of them. Have you ever found a golden egg at an Easter egg hunt? (Let kids answer.) So what we’re going to do is this: I am going to call you one at a time. If I call your name, you will have sixty seconds to find the egg. If you cannot find it in sixty seconds, you will go back to your chair and the next person will search. If you spot the egg, keep it quiet. Don’t tell anyone. You ready? (Call the name of a random child. Use your phone or a clock to track the time. Let the kids search until someone finds the golden egg.) Looks like you found it! Open it up and let us see what is inside! 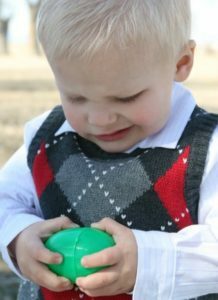 (Wait for the child to open the egg.) That is so awesome! Congratulations! That was fun but I wish we could have all won the prize. Don’t you? That would have been so much better. That reminds me of Easter and how we all have the chance to claim an amazing prize–an eternal life with Jesus. You see, Jesus did not die for just one person or ten persons, he died for everyone. Everyone can be saved if they call on his name. Just think of that! If everyone on the planet called on Jesus he would answer them all. He would save them all! Unlike this golden egg, salvation isn’t just a gift for a few people, or just one. Everyone–EVERYONE can be saved! Tony Kummer (Editor) reviewed & updated this page on : January 25, 2017 at 7:24 am. All our content is peer reviewed by our readers, simply leave a comment on any post suggest an update.